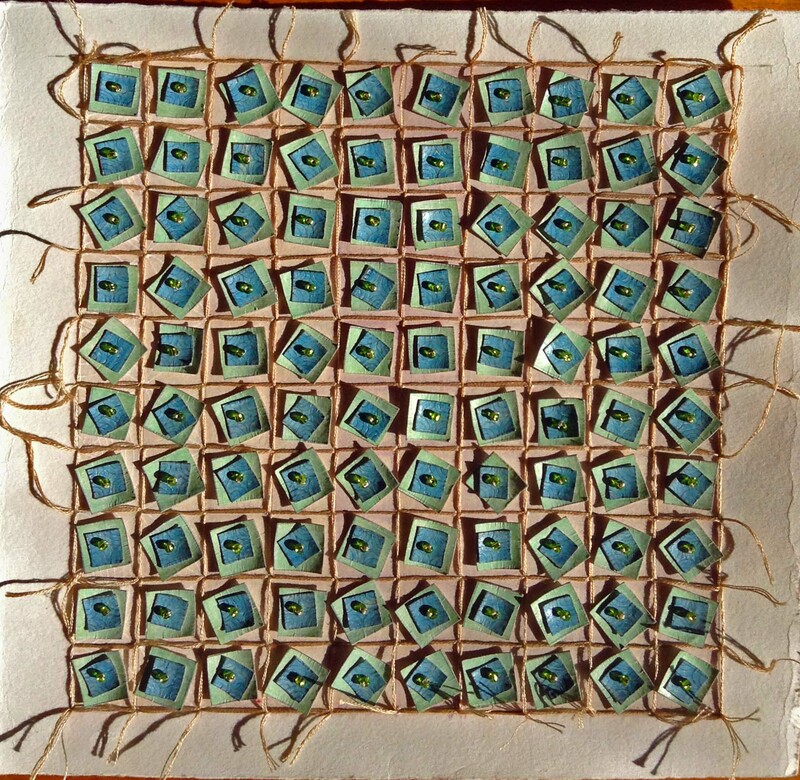 I have been doing some more of the raised patterns and this time I have included some stitching into the work. 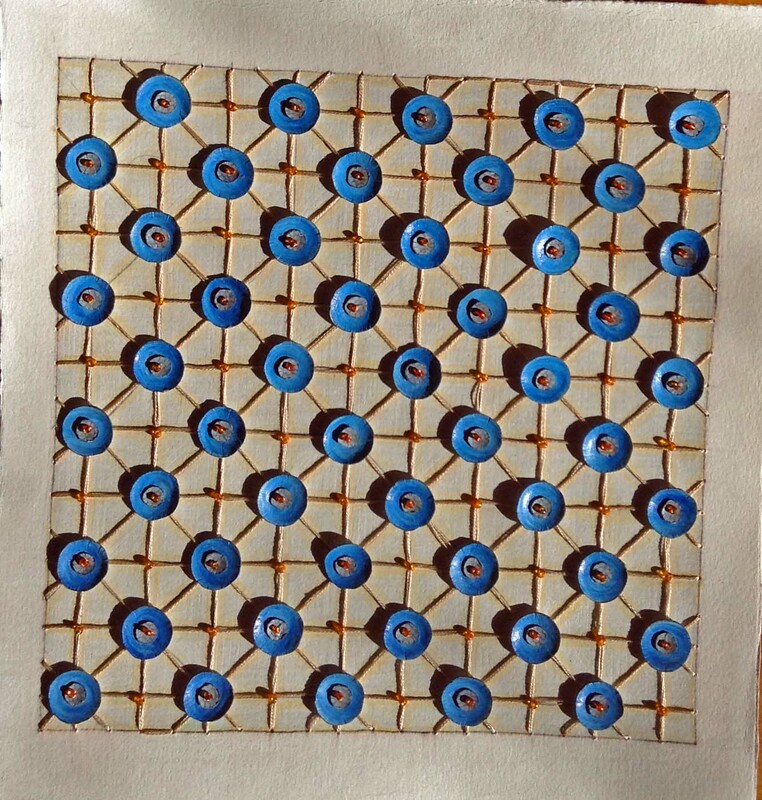 I have really enjoyed blurring the line between paper and fabric and using familiar mediums in unfamiliar ways. I was inspired by some art work I saw on the internet that was a plaid design done in watercolour with line stitched on them. I can’t find the images again and for some reason I did not save them, how annoying! 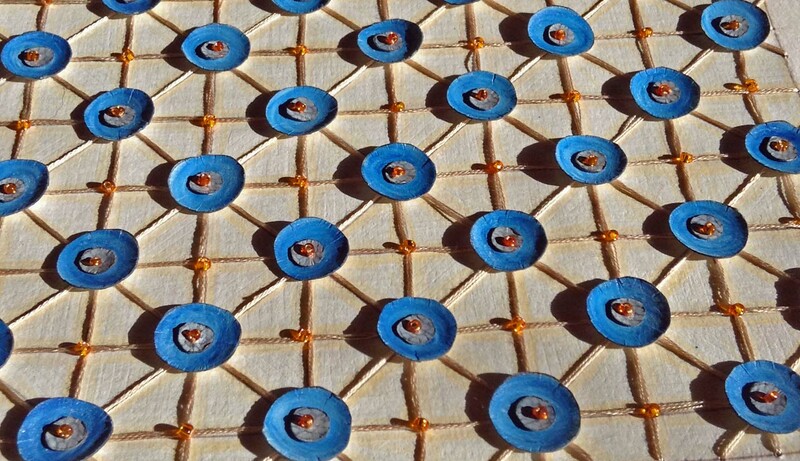 So these are patterns that I like, made out of cut paper coloured with coloured pencils, some with a pattern drawn on them, embroidery thread and beads. I like the more muted colours of these ones, I have used some colour palettes taken from nature for them. 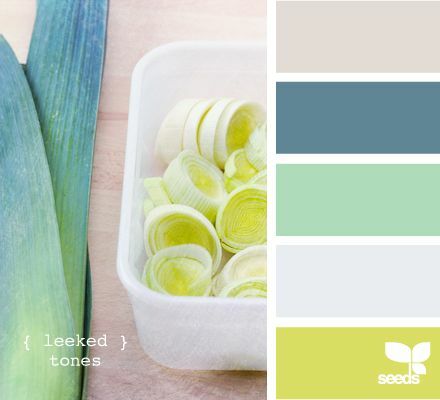 The colour palettes are from a great company called Design Seeds the green palette is based on leeks and the blue one is from a garden bench. 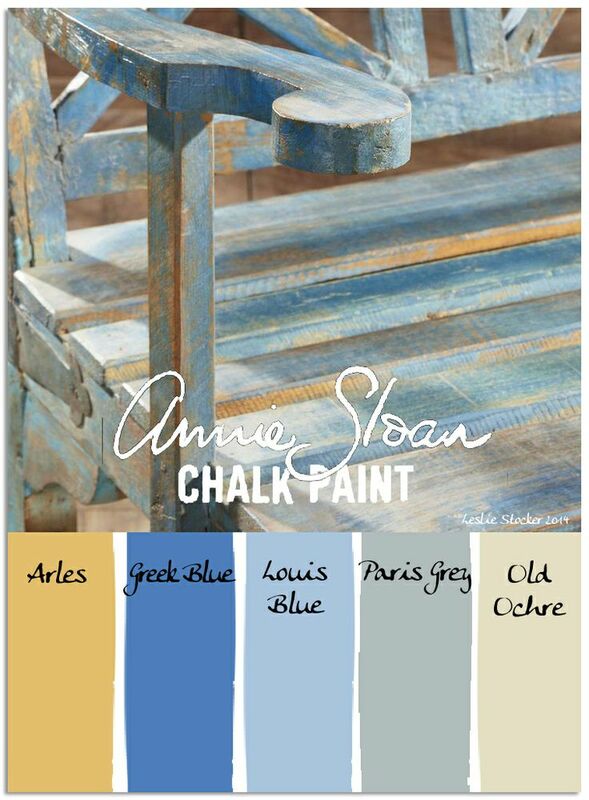 These palettes are a great inspiration as I have problems coming up with colourways straight out of my head and these inspire me to use different and more muted combinations. I plan to enter a few of these little patterns into the 30 x 30cm exhibition at the Brunswick Gallery in Melbourne, so I will make a few and pick out the ones that work best. My main problem is that I don’t know what to call them, I want a names that will link them together yet make each one separate. I would be very grateful for any assistance that any of you out there can offer. This entry was posted in 2014 Artwork and tagged art, colored pencil, coloured pencil, coloured pencils, design, drawing, mixed media, paper, paper art, pattern, zentangles. Bookmark the permalink. Yeah, something like that. Playing with a few ideas. Karen this is so cool!!!! You’ve really moved in a new direction. I just love that. Really exciting to see. Hi Jen, thanks so much, I am a bit nervous about this new work, I love it, but not sure if that is just me going off on a tangent and no one else will like it, so as always appreciate your support. I think you’re sort of in a good groove, having fun and trying out new things. I just saw the dog walk map you did. 🙂 It feels to me like you’re in a zone of really enjoying exploring and it shows. I love it! I think it’s sort of magical when a creative sort gets comfy enough to try lots of different ways. Really nice. I like design seeds for inspiration too. I was looking at these again and they make me feel happy doing that. Very cool work! I just love these Karen, especially the first one. I like the tightness of the grid, but the movement of the shapes within it really give it life. The shadows are a really important element too. You could simply call the series ‘Grid series’ then give each one a more fanciful subtitle. The colour ways work very well too.